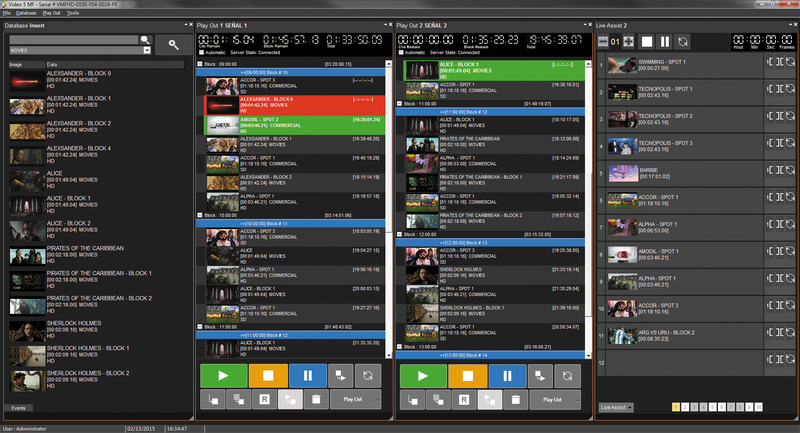 VIDEO 5 MF HD is a multiformat video server designed for automated or live broadcasting in TV networks. 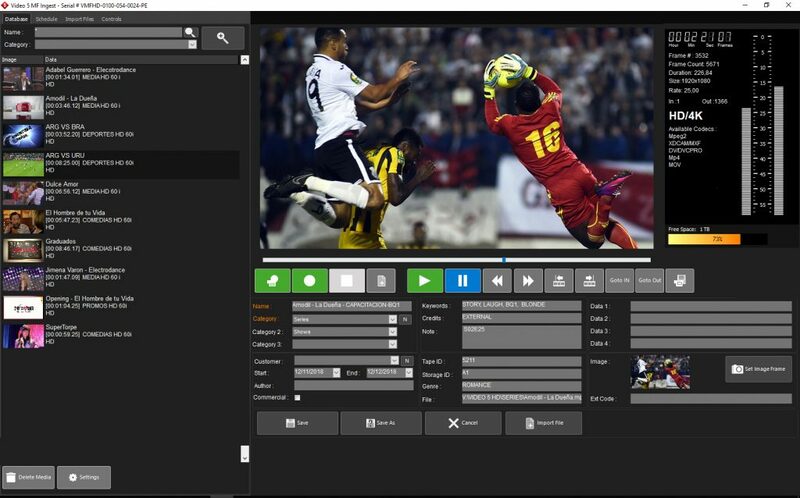 VIDEO 5 MF HD incorporates several of the latest technologies; allowing total control of different types of multiformat content. Multiple selectable compresion formats: 080P, 1080i, 720p, Frames 23.98/24/48/50/59.94/60, MPEG 2 (ISO/IEC 13818-2) (VBR, CBR) up to 80 Mbps, MPEG 2 HD DVD, MPEG 2 HDV HD1, XDCAM 1080, 540, WMVHD. 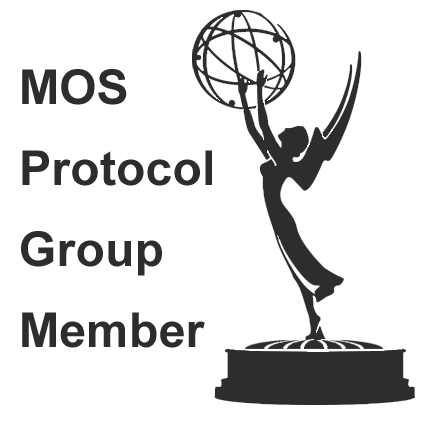 H.264/AVC, MPEG-4, DVCPRO HD (Optional). Metadata definign to each video file on header or with data base integration. Broadcasted report and advertising certifications. HTML control, with reports visualization, schedules, broadcasting control, etc. Broadcasted log and advertising certifications. 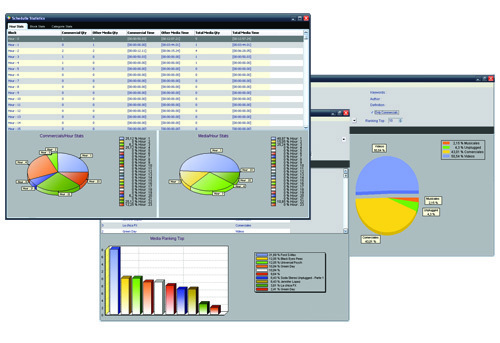 HTML control, with reports visualization, schedules, broadcasting control, etc..